Equery Letters - Writer's Relief, Inc.
Good author biographies are so easy to read, but writing the perfect author bio is anything but easy. At Writer’s Relief, we know it takes skill and publishing industry savvy to create an author bio that will impress publishing professionals (like literary agents, editors, and booksellers) and convince readers to buy your book. How am I supposed to write an author biography focused on my writing when I have never been published before? Is there anything about my publishing history that might be inadvertently embarrassing? Which publication credits are the best to show off in my author bio? Should I write my author bio in first person or third person? Should the tone be formal or informal? What’s the ideal length for an author bio in a query letter? What do most writers forget to include in their author bio? What’s the point of including an author bio in my query letter anyway? 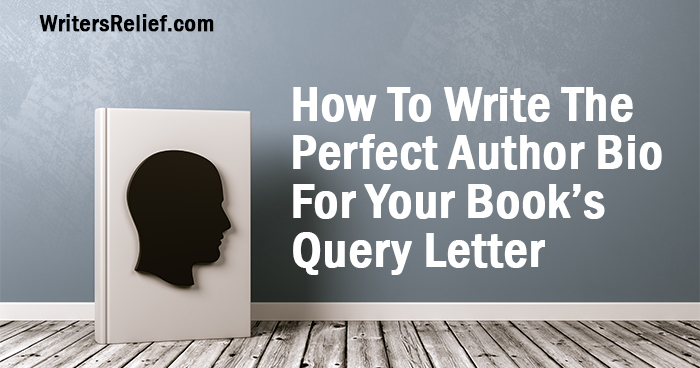 The query and cover letter writing experts here at Writer’s Relief have the answers to some of the most common FAQs about writing an author biography for a query letter—plus the tips you need to turn your standard author bio into a fan-building machine for use in your book marketing materials. Q: Why Should I Include An Author Bio In My Query Letter? Can I Just Leave My Author Bio Out? A: If you ask a hundred literary agents whether an author’s personal biography matters, you’ll get a hundred different answers. Some literary agents might skip straight to an author’s bio when reading a query; others will barely look at it at all. But ultimately, most literary agents would agree on one thing: What’s most important in a query letter is the strength of the book summary. Which simply means: What matters most is your writing. If you’re a new writer with little to no publishing experience, we hope you’ll take heart knowing that literary agents aren’t going to “write you off” because you haven’t been published before. In fact, some literary agents take a certain amount of pride in discovering a new writer. If your book is truly, exceptionally good, a lack of experience in the publishing industry shouldn’t be a deal breaker. That said, you should NOT skip the author bio portion of your query letter even if you are unpublished. A good author bio is more than a collection of facts about a writer’s publishing history. It’s a window into the life of a human being who could become a literary agent’s professional partner. So a good author bio is essential, even if the query letter writer has never been published before. Keep reading to learn how to write an impressive author bio even if you are an unpublished writer. Q: Does It Help To Build Publishing Credits Prior To Pitching A Book Project To Literary Agents? A: While it’s perfectly okay to query literary agents as an unpublished writer, there are some pretty huge advantages to building your author bio prior to sending out your query letters. You have proof you’ve done your homework and learned to craft works that people want to read. Publishing credits show you have an understanding of the workings and etiquette of the publishing industry. If an agent or editor is on the fence about requesting more information about your book project, having an impressive background may tip the scales in your favor. Networking possibilities—and a sense of professional camaraderie—could arise from serendipitous connections a literary agent discovers in your author bio. Writers of prescriptive nonfiction (self-help and how-to) or narrative nonfiction (history or biography) position themselves as experts on their topic by sharing relevant accolades in their author biography. Here at Writer’s Relief, we often assist our clients with the work of building their publishing credits prior to approaching literary agents with their manuscripts. We do this by helping our writers publish book excerpts in literary magazines, and finding publishers for their shorter works. Learn more about how Writer’s Relief can help you build your publishing credentials. Here are some examples of professional author bios! Q: What’s The Best Length For An Author Bio In A Query Letter? A: The biography section of your query letter should be no more than one hundred or two hundred words long—at most. If you have an especially long history in the publishing industry, or if your query letter needs to talk about particular issues related to your book project, we recommend keeping details to a minimum. After all, a query letter is an introduction. Literary agents can reach out to you if they are interested in learning more. Q: Should I Write My Author Bio In First Person Or Third Person Point Of View? A bio written in the first person conveys authenticity, warmth, and approachability—exactly the personality traits literary agents are often looking for when they are checking out future clients. As noted earlier, literary agents understand—sometimes better than anyone—that every writer is an unpublished writer at some point. But just because you don’t have any publishing credits doesn’t mean you can’t write an impressive author bio! With a little bit of strategy and know-how, your author bio can demonstrate that you are poised on the brink of success and that it’s only a matter of time before the right literary agent scoops you up for his or her client list. PRO TIP: Don’t belong to any writing groups? It’s never too late to join one! Here’s a handy state-by-state list of writing and literary organizations. Establishes your expertise. If you are writing about a particular topic or region, your author bio presents a great opportunity to establish yourself as an expert on your subject matter. Talk briefly about your personal reasons for exploring your chosen subject matter, then point to any formal acquisitions or accolades that make you an expert. If your expertise is informal, that’s okay too! Just be sure to cite convincing life experience that proves you are an authority on your subject matter. Negative comments. You may have been through the wringer with another agent, or you might have received countless rejection letters already. But your author bio is not the place to apologize for your lack of publishing credits. Nor is it an appropriate place to vent your grievances. Steer clear of anything in your author bio that could seem remotely negative. Instead, focus on your wealth of learning experiences. Artificially inflated writing experience. Feeling insecure about a lack of publishing credits causes some writers to pad their author bios to appear more impressive. We just have one thing to say about that strategy: Don’t do it. A long bio is not necessarily a better bio. Literary agents will appreciate your honesty. Q: Which Publishing Credits Are Considered The Most Impressive Or Least Impressive In An Author Bio? A: Frontload your author biography with your best and most impressive credits and accolades—rather than burying your treasures deep down in text where they may be easily overlooked. Please keep in mind that these rankings are not set in stone. Your unique situation ultimately determines the best order for your writing credits in your query letter bio. Best-seller status. If you’re a best seller, share your big news right up front. Internet fame or any kind of popularity. Have a famous blog or YouTube channel? Maybe a ginormous reader following or a flock of fans on social media? Or maybe you’ve spent the last few years giving very popular talks to large groups. Literary agents love when writers come with a built-in audience! Book publications with major publishers. Be sure to list your publications with the title, publisher, and year of publication (Name of Book, Publisher Name, YEAR). Publications with major independent presses. Independent publishing houses have a reputation for discovering great new authors. Impressive creative writing or professional awards. If you win a significant writing prize, great. But even if you’re simply nominated or you earn an honorable mention, that’s impressive too! Publication in high-profile magazines. The New York Times, Ploughshares, even Vogue… Some magazines are the crème de la crème and should probably float to the top of your author bio. Publication in reputable literary venues. Being published in solid, middle-of-the-road magazines and literary journals, whether online or in print, makes for an impressive author bio. Readings in well-known venues. If you’ve been asked to give a reading at a prestigious literary salon with national panache, do tell! Writing residences. If you’ve been given a full fellowship to Bread Loaf, that’s a big deal. Participating in a reputable writer’s residency or earning a spot at a competitive writing conference is worth crowing about. Find writing residencies here. Publication in so-so venues. A town-wide literary journal or local current events blog may not have a nationwide following, but everyone has to start somewhere! Minor creative writing awards. Some writing awards aren’t very well-known but are still reputable within the publishing industry. Professional writing groups. Some agents expect their clients to be active in trade organizations for writers who specialize in certain genres. Attendance at professional writing conferences. Participating in a local writing conference is still encouraging to literary agents. Be sure to note if you are a presenter or special guest. Find a list of great conferences here. Readings in amateur venues. Asked to read at a small coffee shop? Yay, you! Are you a regular at a local open mic night? That’s also worth mentioning: I am a regular reader at local literary events. Writing-related careers. Careers that focus on writing deserve a place in your author bio. But you may want to include career information just to paint a picture of who you are as a person. Q: What About Publication Credits And Awards That Are “Old” Or “Small”? A: Writers who have been putting pen to paper (or fingers to keypad) for any length of time often have a number of publishing credits to their name. But is it worthwhile to include every single publishing accolade you have ever earned—even those that are decades old? High school or college literary magazine or newspaper publishing credits: Unless you are a recent graduate, or your high school/college was known for a publication of national consequence, it’s probably best not to include publishing credits that would not have resonance beyond the hallways of your former school. Creative writing awards and scholarships from high school and college: It depends. If you are a very young writer, it might make perfect sense to share the news of your student award with literary agents. But if you are a writer who has had time to win professional writing awards, then bragging about your high school awards may be construed as “reaching.” For adult writers, literary agents like to see awards that have national or regional relevance. That said, if your student writing award has a meaningful reputation or if you won an award from a very large pool of writers (as opposed to a class of fifty people), your accolades may be worth mentioning. Works published a long, long time ago: Again, it depends. If the works you published a long time ago were released by top-notch publishers or won significant accolades, then by all means share details about your former success in your author bio. If your old publication credits are affiliated with defunct publishers and are no longer available in print or online, then you may be better served by focusing attention on your more recent endeavors. Mention your previous publication credits briefly and then move on. Example: After working as a freelance newspaper writer for many regional publications in the 1980s, I turned my attention to starting up my own marketing firm. Smaller publications with lesser-known literary magazines or websites: While some writers opt to omit smaller publishing credits from their query and cover letters, we at Writer’s Relief feel it can’t hurt to share this info. Literary agents make it their business to know people. 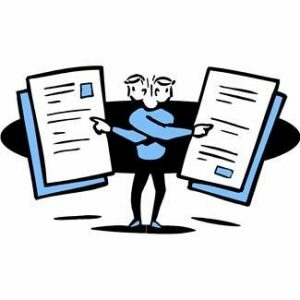 There is a slight chance that the literary agent who is reading your author bio could have a personal connection to one of your smaller publication credits. And that could get your foot in the door. If a credit is reputable, it certainly won’t hurt you to include it. It may even help your cause—but not if you leave it out. Q: Which Publishing And Writing Awards, Credits, or Accolades Should I NOT Include In My Author Bio? 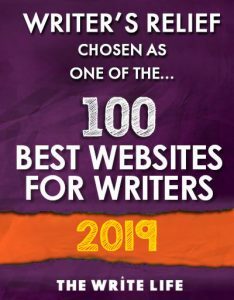 Writers who are unfamiliar with the workings of the publishing industry might inadvertently list themselves as a “winner” of a writing contest that is hosted by a less-than-reputable author mill. New poets are notorious for being the targets of author mill publishers. Writers may also be inclined to list fan fiction as a publishing credit. That’s okay, as long as the writer emphasizes his/her audience popularity instead of claiming fan fiction stories share equal footing with traditional publication credits. Otherwise, fan fiction story publications (which can be published by anyone at any time) may not impress literary agents. Q: What Is The Cutoff For Listing Publishing Credits In An Author Bio? How Many Is Too Many? A: Many of the clients here at Writer’s Relief have a great problem: They simply have too many publishing credits to list in their author bios! At a certain point, it becomes necessary to be selective about which publishing credits to include and which to leave out. Writers who are exceptionally well-published will sometimes say in their bios: “My work has appeared in dozens of literary journals and magazines.” Then they’ll choose their favorite publications to single out. Q: Should You Include Personal Information, Like Hobbies Or Interests, In The Author Bio Of Your Query Letter? A: In theory, the perfect author bio has a brief overview of the author’s education (formal or informal), reputable publishing credits and awards, and publishing/writing affiliations. But a good bio should also include a sentence or two that adds personal flair to an otherwise dry collection of information. In the age of social media, a writer must be able to carry a following with his or her online presence. Having an interesting personality can help with that. When you are willing to open yourself up to others, you may build a large online following of readers and fans. Of course, there are agents and editors who don’t care if you live with three cats and enjoy pottery. After all, when it comes to writing a query letter, it’s your book summary that matters most. But editors and agents often enjoy learning a little bit about you; they are considering a professional partnership with you, not your educational background or publishing credits. So, is info about your personal life necessary in your author bio? Technically, no. Does it hurt to include a personal element? From where we stand, a little bit of personal info may help. Learn more: Your Life Story As Your Most Powerful Book Marketing Tool. Q: What’s The Right Way To Include Personal Information In My Author Bio? Example: I started writing my novel Last Bridge To Pottersville when I was on a hunting trip in Africa and I met my future wife. Example: I guess you could say I started working on my novel Last Bridge To Pottersville when I was a kid and I decided that someday I would write a book. I had a vague sense that my story was going to be inspired by some kind of adventure, though I didn’t know when that spark of creativity would actually arrive. “Someday” became “now” when I was on a hunting trip in Africa and I met my future wife. Talk about your home life. Example: I am a stay-at-home dad with three kids under the age of six—and I never lack inspiring stories, thanks to them! Talk about your free time. Example: When I’m not writing, I enjoy angling, bird-watching, and hiking to help me stay inspired. Example: I have lived in five major European cities in the last ten years, and my travels continue to inspire my writing. Talk about your other interests. Example: When I’m not writing, I like to volunteer at my local library by tutoring ESL. Do You Need Help Writing Your Query Letter? The team of experts here at Writer’s Relief may be able to help you write the query letter for your book! We know a thing or two about putting together an effective query. Since 1994, we’ve helped our client garner over 19,000+ acceptances from literary agents and editors. And once you have a great query letter, our submission strategists can identify the literary agents who will most likely be interested in your book! We have been a highly recommended name in the publishing industry since 1994 (but you don’t have to take our word for it: there are hundreds of client testimonials on our website). 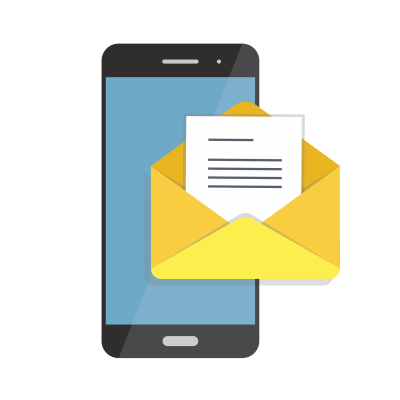 Reach out today to learn more about how we can help you write your query letter. Writer, Can You Help? Share your author bio in our comments section to serve as an example for other writers!